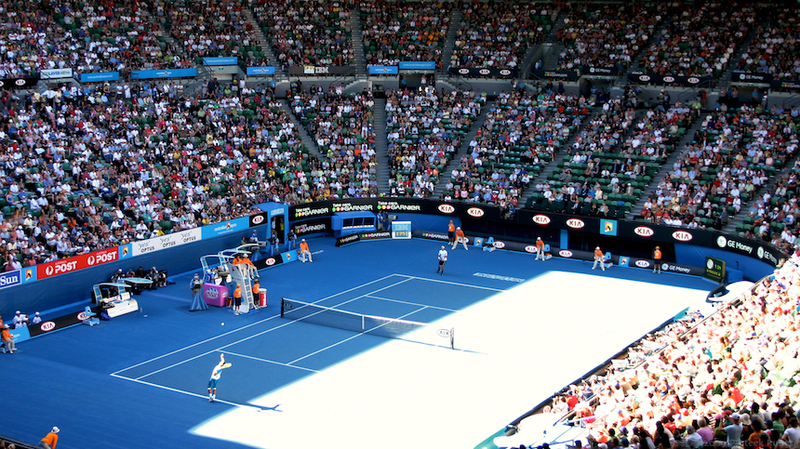 Above – Nadal vs. Gonzalez; below – Tsonga vs. Blake. More photos on flickr. At a glance the pic looks like a miniature model, esp the bottom pic. Lucky you got to go for it! Yup, they do look like models. The view was good nonetheless and I would’ve regretted it the whole year had I missed the opportunity to go there! Wow. These could have looked like models. But there’s something in them that just makes them look so real. Maybe the colour and randomness of the spectators. Oh yeah, there’s way too much life in these photos to come across as artificial. Boy O’Boy, the colour fading in from the top and the bottom of this picture below my comment.